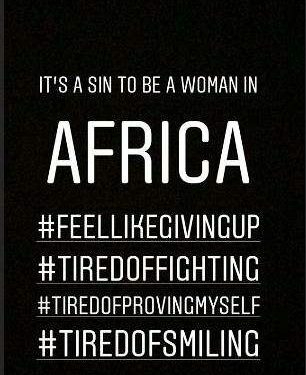 Despite having a very good year, Nigerian singer, Tiwa Savage says she feels like giving up. The singer made it known via her instagram story this past weekend. 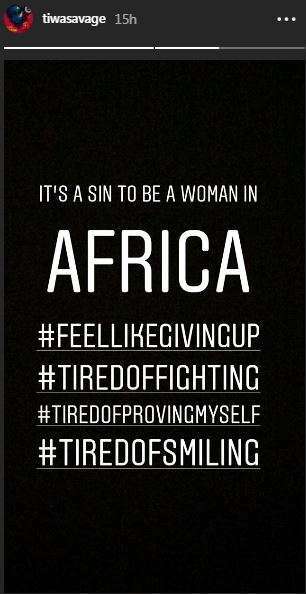 The singer didn’t emphasize on her struggles but it looked as if she was referring to ingrained patriarchy in Nigeria and Africa. In another post, which looks like an open letter to his son and also a dig at misogyny, the multiple award singer said she hopes her son grows up to treat every woman right. “It’s not easy but you make it worth it, I pray you grow up to treat EVERY woman like a queen because you’ve seen what your mama had to go through Don’t know what I’d do without the love you give me, I will give my life for you.